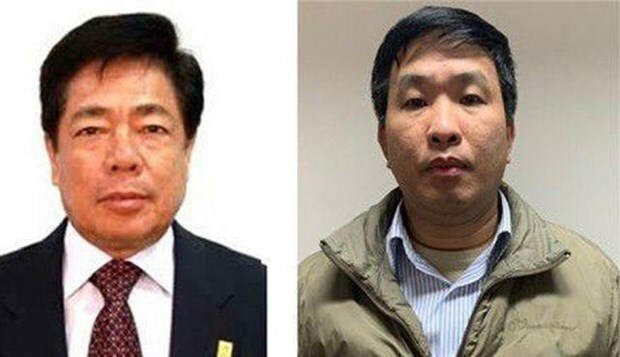 Hanoi (VNA) – Four former leaders of the State-run Vietnam Shipbuilding Industry Group (Vinashin), now the Shipbuilding Industry Corporation (SBIC), have been charged with “abusing position and power to appropriate assets”. This is part of the second phase of a case involving violations by former Chairman of the Board of Directors of the Ocean Commercial Joint Stock Bank (OceanBank) Ha Van Tham and his accomplices. The accussed consist of former Chairman of the Members’ Council of Vinashin/SBIC Nguyen Ngoc Su, former General Director of the firm Truong Van Tuyen, former Deputy General Director Pham Thanh Son and former Chief Accountant Tran Duc Chinh. Investigators have found that from 2010 to June 2014, Vinashin made more than 2,300 fixed-term deposit contracts involving nearly 104 trillion VND and some 181 million USD with OceanBank. From March 2011 to August 2014, Chinh received more than 105 billion VND in extra interest from OceanBank. As agreed by the four, Chinh was assigned to receive and manage the extra interest to use for the firm’s activities and divide up the money among them. The procuracy said Su initiated the depositing, signed 12 deposit contracts and gained 8 billion VND himself. Authorised by Tuyen, Chinh also signed many deposit contracts at OceanBank.